The Abyssal, Harmonious Jade in Winter, The Masked God With No Eyes, The Ordinary, The Twins Who Dwell In Their Names, Mister Nihilsm, and The Death's Head. Libra wrote: The wisest part of my mind knows that this tempting list of (as-yet mostly) undeveloped names is simply being used to establish context rather than issue a challenge, but being myself I am probably going to have to accept this implicit-in-my-imagination challenge anyway! 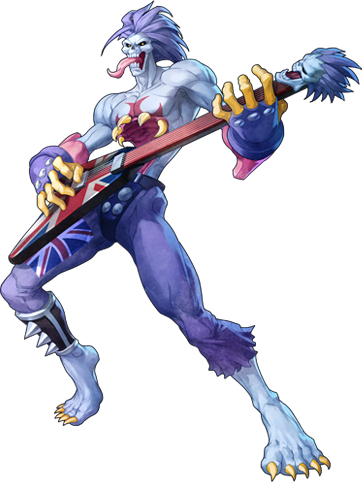 The Abyssal: A demented rockstar and musician who has assumed countless forms over the millennium wants to "sing the song which ends the universe" because he is that obsessed with fame. His hobbies include killing stars at the height of their fame to preserve their memory. Harmonious Jade in Winter: A beautiful but vengeance-driven courtesan who sought out to punish those who harmed women during Tokugawa-era Japan. Harmonious Jade in Winter eventually killed herself, only to not die, when she realized that she'd slain her own son when he came to stop the vengeance killings. The King in Shadows and she have a "unique" relationship where both are actively trying to escape the End to save the world but are brought low by their mortal frailties. The Masked God with No Eyes: The End's second in Command. He's quite possibly the most powerful sorcerer in the universe and has a messaniac view of the Big Crunch, that he believes to be his lover. He powers his doomsday machine with stolen souls. The Ordinary: A faceless man in a sweater vest and pants who was once a working class hero. The Ordinary chose to leave his profession, "A Eagle no more!" and didn't return to it. The Ordinary paid the price for this action by his villains finally tracking him down almost a decade later and exterminating everyone he loved before nuking his city. The Ordinary promptly sold his soul to the Devil for a "retcon" and now attempts to discourage heroes and eliminate villains. He's not so much fallen as vaguely sauntered downwards. The Ordinary is also aware that his fellow death gods are not purely evil and could save the universe. He's just not sure how to help them overcome their guilt--so he's staying mostly to try to do that. The Twins Who Dwell in Their Name: A pair of identical twin Victorian Vampire Hunters, one a prostitute and the other a Governorness, who fought against Lord Ruthven over the decades after their Irish father was killed. The Twins decided to use the Book of Midnight to destroy all Vampires on the Earth but were tricked by it into breaking the seals on Earth-Cabal's dimensional barriers. It was they who destroyed the planet less the Titans escape it. Mister Nihilism: More or less the same character from Meta-4's universe and the Crook's supplement only empowered as a godlike terrifying being of destruction. He wants to end the universe because of its purposelessness. Death's Head: They finally killed Count Reich on Earth-HED....and the End gave him the power to kill Orkus and steal his throne. He's currently building a massive army on the remains of Abaddon as well as the weapons necessary to scour the universe. There are also four "Lost" death gods who the End, Victor Vanquish, and oddly Harmonius Jade and the King have slain (despite the fact that shouldn't be possible). Last edited by Charles Phipps on Sun Nov 03, 2013 8:23 am, edited 1 time in total. Ah yes, the half-Aeonic Deathmonger known as Kult Deathmane. This is the perfect way to defeat him, though. The Abyssal is so damned RIDICULOUS no one takes him seriously. Which is ironic since he's destroyed worlds and no one can stop him save the Outrageous Order (who have done it three times). Even Mister Arcane has mostly only been able to thwart him. It took the Double O to beat the living snot out of him. I kid you not, it's the inspiration for Black Sabbath's Iron Man. Still, my suggestion for an epic supernaturally-charged guitar duel? Also, wasn't Devilsun I was one of The End's former generals? Last edited by Voltron64 on Tue Nov 05, 2013 9:25 am, edited 1 time in total. Voltron64 wrote: Also, was Devilsun I was one of The End's former generals? Devilsun the first was basically a Neo-Concordian who managed to somehow tap into the power of the Titans. More or less becoming Horus from Warhammer 40K. Despite being their champion, this made him more powerful than the Pandemonium and effectively unstoppable. Victor and his brother managed to cut him off from his power source with the power of LOVE, HONOR, and BURNING PASSION TO DEFEAT YOU! The End, however, is behind his successor's slow return to power. For some reason (I can only blame my crackpot theory that Greenworld is on its way to becoming THE EPICVERSE) I had assumed that Devilsun the First was the little boy mentioned as one of the Irredeemable in AoW III. Time to invoke a multiple choice past? In general one can only say that you have done a fine job of adding another set of nightmares to the Multiverse in your own inimitable style. It seems however that while HJiW, The Ordinary, The Twins and the King in Shadows very effectively convey the sense of a Hero collapsing in on themselves to become a terrifying arch-Villain and monster, The Abyssal, Masked God with no Eyes, Mister Nihlism and Death's Head signally fail to do so - Count Reich a fallen hero?!? (would it not make more sense to suggest that this is a version of General Venom who went completely off the deep end and tried to pass himself off as an actual evildoer in the process to save his pride?). The Abyssal:- I would suggest making him effectively a Heavy Metal Harry Dresden or perhaps what John Constantine might have become, had he stuck with his music or even the surviving member of a Bill and Ted-type duo who basically allowed all the Cosmic Stuff he saw in a near-death state to turn him from a message of Peace that would have ennobled SEVERAL worlds (as well as creating a version of the Time Lords composed of pretty cool dudes instead of Dusty Senators) to something infinitely more Infernal with the results you have noted above. Harmonious Jade in Winter:- Since she rather reminds me of Miss Saigon-turned-Vigilante, one can only suspect that her quest to protect the joygirls of feudal Japan did not exactly do her quality of living any good, with her state and that of her son turning so desperate that in the end she was faced with a choice to take her own life or that of her son. The Masked God with no Eyes:- I wonder if he might have begun his career as a slightly Raistlan Majere-type mage (possibly adventuring across the face of Middle-Zoth) who trod a path that led him ever downward until he not only abandoned his comrades but sold them to their enemies, with hideously tragic circumstances that he foresaw AND DID EVERYTHING TO BRING ABOUT to give himself power at a price he would should have scorned, even by his own flexible principles. Rozarak the Undying would NOT be happy to discover one of his old fellowship not only set up his fall, but fell even further than he did in the process! The Ordinary:- I suspect that he's almost wilfully NORMAL in appearance and behaviour, but that around him so is EVERYTHING else, as if the Age of Heroes simply cannot take place in his presence, with the inevitable consequences in the middle of an emergency. On a note unrelated to characterisation, it's perhaps interesting to speculate that instead of ONE MORE DAY Parker, my thoughts went to the cinematic Man of Steel - who stood by and watched his beloved foster-father die, doing NOTHING to help. For all that the film had some decent points that scene crushed almost every one of them by putting a black hole where the storied 'S-shield' should be (killing an entire Heroic Age in the process, as CK determines to quietly kill ANYONE who does what he did not dare to). The Twins who Dwell in their Name:- One imagines that the father of these ladies was killed before he could publish a manuscript with some ... sensitive details regarding Lord Ruthven contained within it's pages. It is also somewhat hard to escape the suspicion that the major reason The Clan Ruthven escaped Earth-Cabal was because the new master of these by-now elderly ladies required that it do so. Hard to rub salt into the wounds when the salt-mine is destroyed, eh? Mister Nihlism:- Since I don't actually have access to a copy of Crooks I'll climb out on a limb and suggest that he was a science fiction hero who might have ushered in a bright and noble future amongst the stars - then decided that since the Universe was going round perdition's flame anyway he might as well rob those aliens as befriend them, marring Mankind's First Contact and it's entire future - creating either E-000 or something very like it in the process. Death's Head:- As noted above, I believe that including Count Reich as a member of Heroes who not only failed, not only fell, but started tunnelling so fast as to cause a planetary-scale implosion and leave a Black Hole in the Universe is a somewhat flawed draft pick. This doesn't mean I don't imagine that his current state is EXACTLY as you have described (with a little help from the fact that E-HED finally put paid to Orkus), merely that I am unsure he has any place with the Nine Lords of Death. My suggestion for a substitution remains a version of Jack Washington Junior stripped of any pretension of heroism or patriotism (and therefore stripped right down to the bone). There you have my suggestions and I hope they are not too impertinent. Libra wrote: The Masked God with no Eyes:- I wonder if he might have begun his career as a slightly Raistlan Majere-type mage (possibly adventuring across the face of Middle-Zoth) who trod a path that led him ever downward until he not only abandoned his comrades but sold them to their enemies, with hideously tragic circumstances that he foresaw AND DID EVERYTHING TO BRING ABOUT to give himself power at a price he would should have scorned, even by his own flexible principles. So this guy's wizard Griffith? Quite correct, Libra, and I shall do my best to correct this thematic resonance. The Count Reich of Earth-HED! is not the same Count Reich as people remember him, specifically the "quite possibly born pure evil but yet, somehow, found a way to get eviller still" Ludwig Von Mass. That unfortunate character found himself frightening Hitler so much that HED! 's Fuhrer made the one good decision of his life and allowed the Liberty Men to infiltrate the madman's bunker and assassinate him. Count Reich's bunker, not Hitler's. Some people believe Hitler let the Liberty Men do this because Reich's bunker was bigger by a matter of three whole feet. Which is unfortunate because this lead to things getting so much worse for everyone. Because while General Venom is an excellent example of a fallen hero, his potential for darkness came from somewhere and his father made a worse transition than he did. Indeed, Jack Washington Senior could well be said to have become the white dwarf to black hole of HED! superheroes. In the otherwise lighter and softer universe of Earth-HED!, Jack Washington Senior elected to stay behind after this mission and utilize his advanced technology as well as Splotch's magic ring to impersonate a high-ranking SS officer in order to feed information to the Allies. Specifically, Jack Washington killed Rotter Parsifal and assumed Red Knight's identity. Only to find out said individual was his brother. This was Ludwig's final joke on his killers, having left ample evidence that Red Knight was the perfect individual for infiltration and passing it along to Colonel Moriarty. The act of fratricide would have been bad enough if not for the fact that being encircled in the heart of Nazi occultism as well as madness lead to Jack Washington making numerous questionable decisions to justify his actions. Jack Washington Senior's deterioration hit its climax with an act of omission, one so terrible and horrible that it is strange that it was simply an act of NOT doing something. A group of people fell onto his desk that, with Berlin decaying around him, the newly Nazified Red Knight could have simply signed their travel papers and let them escape. Rather than draw suspicion to himself, he passed along the order to people who had them killed. This act of damnation was politically suicidal as well given that the people involved were Ruritanian Jews and one of them was Colonel Moriarty's mistress. Thus, Jack Washington Senior was exposed as the "true" identity of Red Knight all along and Jack Junior was forced to grow up with the stigma of being a Nazi's son. Curiously, said act actually increased JWJ's decency as he spent the rest of his life trying to make up for his father's mistakes rather than live up to an insane paragon. Jack Washington Junior, incidentally, became as fine a Nazi hunter as Magneto. The humiliation of being betrayed by his country and his web of rationalizations crumbling, Jack Washington Senior turned to magic to gain his revenge on Moriarty and adopted the mask of the late Count Reich for it. The Liberty Men attempted to protect Colonel Moriarty and Jack Washington Senior did his best to try and murder them. He failed. Then he tried again and again. After the Great Unmasking Massacre where he attempted to expose the lie of American heroism, he looked into the mirror and the new Count Reich stared back. The End recruited him soon after. Last edited by Charles Phipps on Mon Nov 04, 2013 6:35 am, edited 3 times in total. Voltron64 wrote: So this guy's wizard Griffith? Much appreciated as all, Libra, and I confess to a certain degree of cheating in order to maximize the terrifying power thereof. Though, honestly, in the Masked God With No Eye's case, I was simply going with the idea he didn't go blithely sharing his backstory as opposed to not having a tragedy. 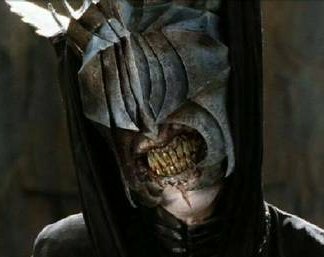 I have corrected the Death's Head entry and will go forth and add to your own comments with the caveat that you have done so much better than my initial entries! Libra wrote: The Abyssal:- I would suggest making him effectively a Heavy Metal Harry Dresden or perhaps what John Constantine might have become, had he stuck with his music or even the surviving member of a Bill and Ted-type duo who basically allowed all the Cosmic Stuff he saw in a near-death state to turn him from a message of Peace that would have ennobled SEVERAL worlds (as well as creating a version of the Time Lords composed of pretty cool dudes instead of Dusty Senators) to something infinitely more Infernal with the results you have noted above. The Abyssal's nose-dive off the slippery slope began when he was the half-god Australian hero of a world neck-deep in the 90s Dark Age. Whether or not it was Earth-Cabal and he was the "last" of their heroes (and they served the worst for last) is anyone's guess but his bloody, murderous, and ruthless destruction of supernatural evils occurred for decades as he single-handedly held off the corruptive forces by himself. Unfortunately, the hubris of being the only remaining superhero in the world gradually wore away at his sanity--especially after the fact that the rest of the Abyssal's bandmates were horrifically killed. His fellow godlings slew many monstrous evils with him but they also kept their manic-depressive leader from going completely schizophrenic. Heck, here's his Death Valley concert! In the end, aging and his magic having worn down to the quick, the Abyssal decided that suicide was preferrable for his world than letting it fall into the hands of the dark forces he'd fought his entire life. He summoned a massive demon to consume the world in one gulp and let everyone die painlessly than let their souls get taken by the Titans. And a couple of heroes stopped the monster. It's questionable whether it was the realization he tried to murder the world broke his sanity forever or whether it was the fact those two nobodies UPSTAGED HIM. Libra wrote: Harmonious Jade in Winter:- Since she rather reminds me of Miss Saigon-turned-Vigilante, one can only suspect that her quest to protect the joygirls of feudal Japan did not exactly do her quality of living any good, with her state and that of her son turning so desperate that in the end she was faced with a choice to take her own life or that of her son. In this case, it was fate's way of being especially ironic. She'd worked her entire life to make sure her son, the illegitimate offspring of a samurai, ended up getting the kind of education and armor to actually make him one. As the deflowered daughter of a Ronin herself (and a prodigy with the blade rivaling Yagyu Jubei), she never thought of the possibility of seeing him again. The Masked God With No Eyes actually didn't start as a wizard, though he was indeed an associate of Rozarak the Undying. The Handsome Prince turned Ranger who would have been not so far removed from Aragorn if he stopped shaving for a bit. The Masked God With No Eyes opposed his Lich opponent by choosing to take the Maguffin they were attempting to destroy. It granted him every desire but, ultimately, brought ruin to him as such devices were want to do. However, unlike Isildur, was not content to leave it at that and sought the magic to reverse time so he could fix everything. He became almost a paradoxical Chrono-Trigger danger to the timestream as big as Lavos. In the end, after having murdered and slaughtered his way across creation's history for the power to do what he needed, he GAINED the power to fix everything and discovered he no longer cared. His wife and children would never have understood his actions so they were unworthy of him now. So now he wants to destroy Creation so he can rebuild it. Libra wrote: The Ordinary:- I suspect that he's almost wilfully NORMAL in appearance and behaviour, but that around him so is EVERYTHING else, as if the Age of Heroes simply cannot take place in his presence, with the inevitable consequences in the middle of an emergency. Indeed, there is a terrible banality of the spirit that descends on everywhere he walks. A numbing sameness with no hope, no ambition, or possibility of change. It is not enough terrible because that would require you to feel. As for the Man of Steel, the scary thing about the Ordinary isn't that he's like Clark in that he obeys his father and regrets it. The scary thing is that he DOESN'T obey his father and comes to regret it. Libra wrote: The Twins who Dwell in their Name:- One imagines that the father of these ladies was killed before he could publish a manuscript with some ... sensitive details regarding Lord Ruthven contained within it's pages. It is also somewhat hard to escape the suspicion that the major reason The Clan Ruthven escaped Earth-Cabal was because the new master of these by-now elderly ladies required that it do so. Libra wrote: Mister Nihlism:- Since I don't actually have access to a copy of Crooks I'll climb out on a limb and suggest that he was a science fiction hero who might have ushered in a bright and noble future amongst the stars - then decided that since the Universe was going round perdition's flame anyway he might as well rob those aliens as befriend them, marring Mankind's First Contact and it's entire future - creating either E-000 or something very like it in the process. The short version of Mister Nihilism is that he is a hero who once was every bit the kind of salt-of-the-Earth aww shucks hero we've come to respect from Steve Rogers, Clark Kent, and other good guys. Unfortunately, Mister Nihilism's snapping resulted in him becoming a master of depravity and horror every bit as nightmarish as Uncle Mikey. The only thing notable being that no one really DOES know why he became so utterly EMPTY. Mister Nihilism is notable for the fact that, science hero or not, he's not so much actively interested in wiping out everything in that he has no care NOT to. It was Mister Nihilism who created the "Star Stealer" of a certain Pirate and told him to use it however he wishes. This is just one of the weapons which has slain billions he's created for no other reason than boredom. Oh and just as an added bit of detail. The King in Shadow: In ancient times, we're taking Hyborean Age, Victor Vanquish and his brother Valance travelled the world as the archetypal Barbarian Hero and Thief. Indeed, one might believe that the members of the Aeon's godly council took some inspriation from the two. Hell, he was even at it as a boy when Victor and he were poor children living outside the superheroes' super city and they had to go climb a dimensional bean-stalk to steal a Titan's gold. A certain Cimmerian met the two and learned quite a few secrets about moviong silently as well as cleaving with mighty thews. A guile hero extraordinaire, the King in Shadows was vital to the Neo-Concordians defeating Devil Sun due to his ability to think outside the box in a manner which rivals Mister King. Unfortunately, personality wise, the King in Shadow was always too clever for his own good. The very desire NOT to die heroically that allowed him to prevent the Neo-Concordians from throwing themselves futiley in the mouth of chaos often lead to numerous problems for the two. There was the time that he arranged a peace-treaty with one of the Titans by agreeing to marry Victor to him (in a white wedding dress no less), the time they had to scale the world-tree to kidnap a squirrel goddess, and the whole business with the Star Dwarves. And seriously, it's totally a coincidence his resemblance to Loki. He DATED the Queen of the Underworld, she wasn't his child. Oh and the female horse bit never happened, he swears. The scary thing, though. If the PCs got The King in Shadows cunning working again--he might become MORE dangerous than the End as he'd be that much determined to make up for his Ragnarok level sins. Here's a scary little fact, there was actually no previous knowledge whatsoever of The End having any personal lieutenants besides Devilsun in the past. In fact, The End had mostly seemed to either work solo or with a minion or three. This implies that he may just could have traveled back in time and retroactively created and recruited the King in Shadows and the other Lords. Last edited by Voltron64 on Sun Nov 10, 2013 5:50 pm, edited 2 times in total. Voltron64 wrote: Here's a scary little fact, there's was actually no previous knowledge whatsoever of The End having any personal lieutenants besides Devilsun in the past. In fact, The End had mostly seemed to either work solo or with a minion or three. This could imply that he may just have traveled back through time and retroactively created and recruited the Kings in Shadows. I suppose the Anti-Monitorseidlactus felt he needed a bigger boat. Given his plans to destroy himself and reality have been thwarted quite a lot lately by all these superheroes, you may just be right. Thanks, I was thinking Gwynfyrr the Enchantress, one of the magical girls or even The Innocent of all people to duel Abyssal. Basically, a Cute Witch with the power to transform her magic wand/staff into an epic guitar.